This contemporary collection has an organic feel, creating a casual yet chic, relaxing environment. The color palette is very muted and calm, mainly using earthy tones, yet the furniture pieces are still very trendy and modern. 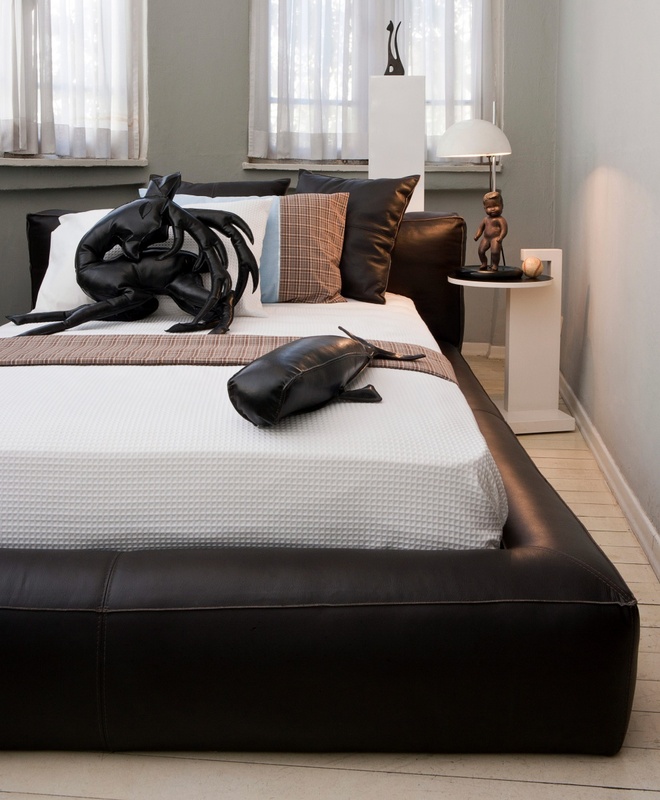 The fluffy custom bed is designed with a soft leather, adding to the laid-back feel of the space. The simplicity of the room, the natural color palette and the use of raw materials all create a warm & cozy space full of originality.